S-parameter catalog or measurement values can be written in a touchstone cad-file to be used in CAD-programs. The green text must be written in a ASC2 DOS text-file. Y-parameter catalog or measurement values can be written in a touchstone cad-file to be used in CAD-programs. The blue text must be written in a ASC2 DOS text-file. 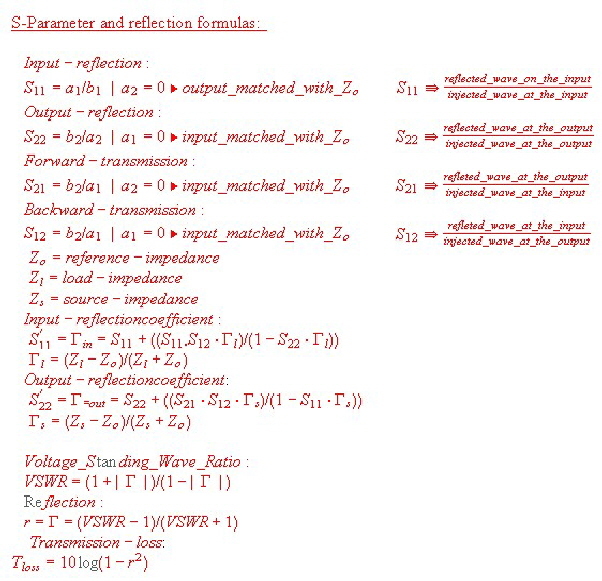 Y-parameter can be expressed as S-parameter and vice versa. Some older component catalogues only show the y parameters. To avoid tedious computing , one can create a Y-block to be analyzed in a CAD-program and save the results as S-parameter file. 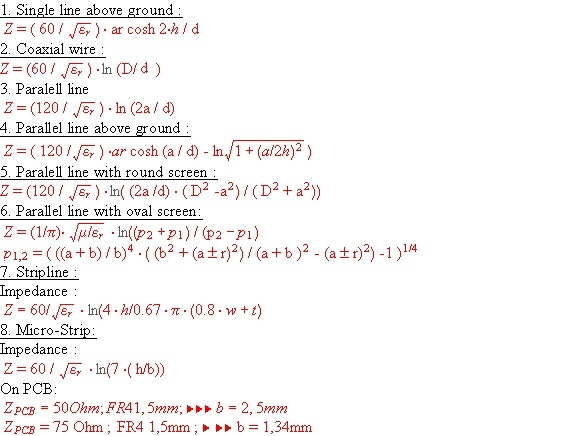 The circuit of a lumped filter can be simplified ,, using Norton’s transforming equations . 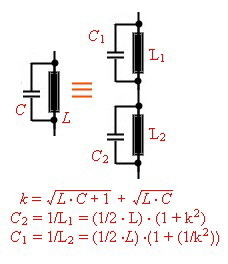 That means a part of the circuit can be replaced by an other circuit and a ideal transformer. The transformer then must shifted to the input or output of the circuit and removed by changing the actual input or output impedance. An other way to free the changed circuit from the transformer, is to transform 2 circuit parts ore more having the opposite transforming ratio. The transformer than can be canceled if they are directly connected.. Go to Norton’s example. 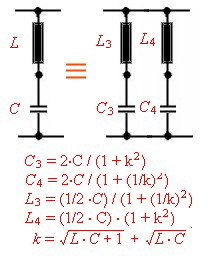 At Fig.1-5 the CIR named circuit parts of a filter can be replaced by the transformer circuits 1...2...3...and / or transformed with the transformer ratio.There are other possibility’s of Norton’s transformation but they are not shown here. 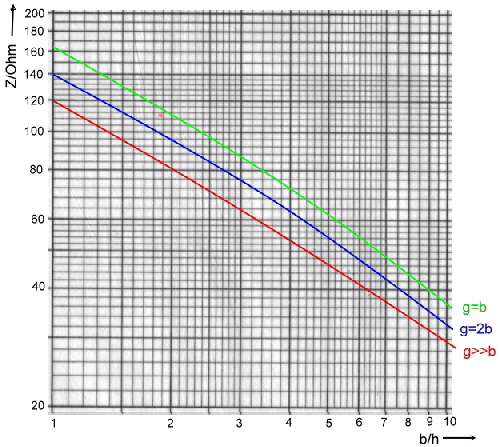 Measure the resonant frequency with a Q or grid dip meter. Measure the resonant frequency Fclosed with the secondary coil shorted. Wave lines come out in different mechanical configurations , either as Coax-cables, lines on a PCB or ceramics (Micro Strip) ,Parallel lines, Twisted wires and special Strip lines. Each type has its one impedance Z. 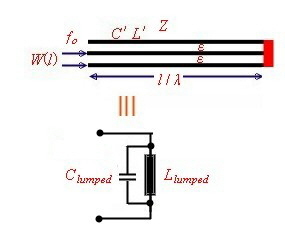 This means, a shorted Quarter Lambda resonator is a parallel resonator and will ring at other frequencies too, and a shorted Half Lambda resonator works as a series resonator and will ring at other frequencies too. Theoretically the open wave line will resonate in the opposite manner. Series and parallel resonance will change. Practically this condition is unstable and is not used. 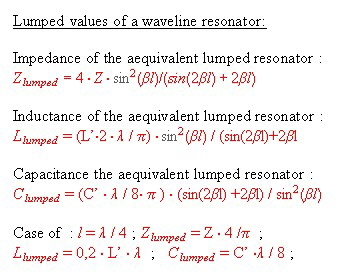 Important Knowledge : If at low frequencies the resonator is mechanically to long, an L-load is shorting the length. 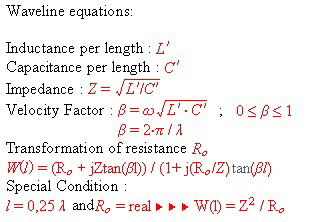 The impedance of a wave line depends on the mechanical dimension and the epsilon value of their insulation. The basic magnetic equation often has been forgotten . 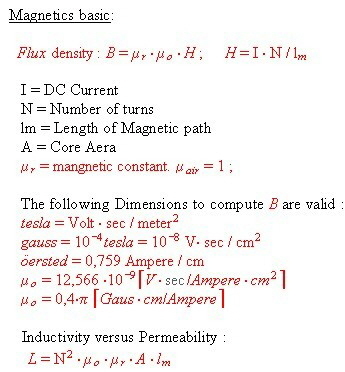 Remember the induction in a magnetic core Fig.1 see the factors between’ Gauss’ ; ‘Tesla’, ‘öersted’ and ‘V*s/m*m’, and go to an example of magnetic: >>> go to magnetic example >>>> t.b.c.